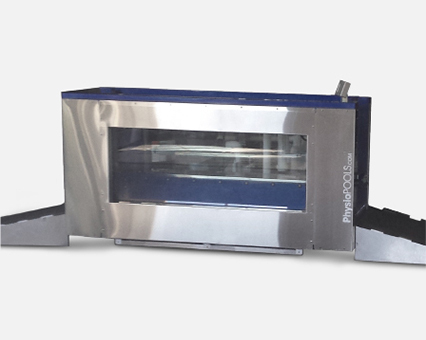 The HydroTread 1610 is the largest in the HydroTread range. 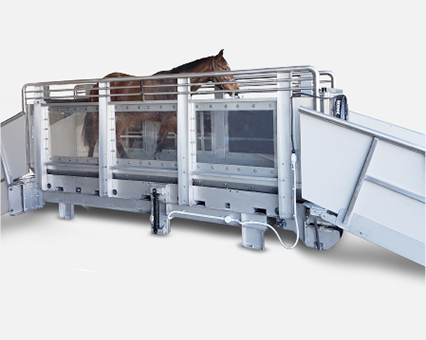 An above-ground, aquatic treadmill designed for long-term reliable operation. 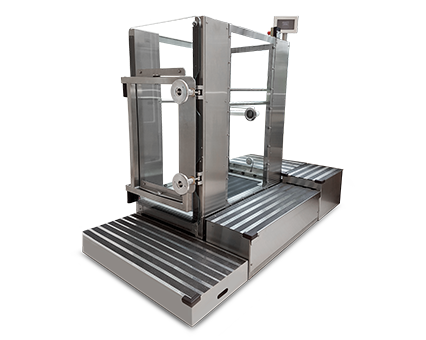 Its smooth Stainless Steel & Toughened glass surfaces and user friendly controls provide a safe environment for both operator and user. Clear wall panels surround the treadmill to provide a spacious, bright and open environment for user comfort and allows the operator full visual overseeing during exercise. 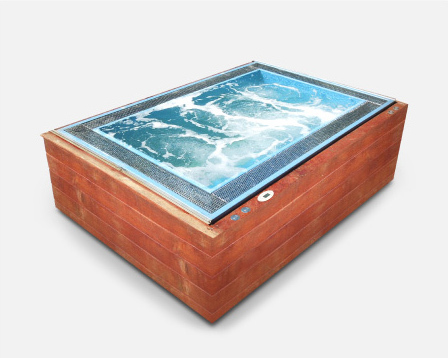 HydroTread utilizes the natural properties of water – buoyancy, resistance and temperature. 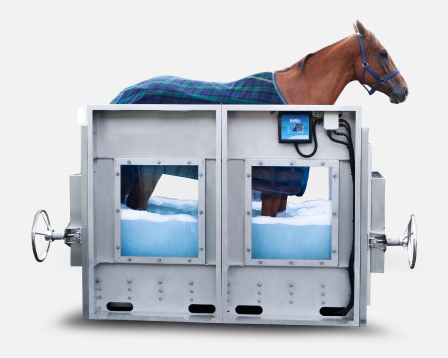 Although aquatic exercise is practiced extensively to improve fitness levels and rehabilitation from injury, HydroTread provides a compact and efficient way to achieve positive results in a private environment. 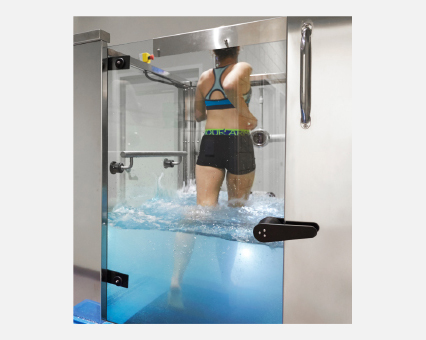 HydroTread’s unique structural design enables an impressive 1300mm (51 inches) water depth, providing full buoyancy for even the largest of user’s - reducing overall weight off the lower back and legs by as much as 90% during exercise – LOW IMPACT EXERCISE. Fast Fill and Fast Empty hydro-pumps ensure efficient use of time throughout exercise session – water depth adjustment can be made at anytime during use. All water in the HydroTread system is Re-Cycled. Water is stored, heated, filtered and sanitized in the storage tank ready for transfer into the HydroTread vessel for use. Following use the water is then transferred back into the storage tank. filtration and sanitizing system is commercial grade like used in public pools & Spas. A high performance, variable speed treadmill (conveyor) is driven by an industrial grade electric motor / gearbox / Variable Frequency Drive that provides an effortless speed range from 0.03 Kph to15.0 Kph (0.18 Mph–9.3 Mph) controlled via a 256 Colour Touch Screen Control. 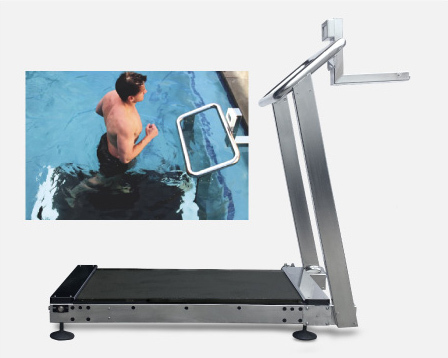 The treadmill can be operated WET or DRY. 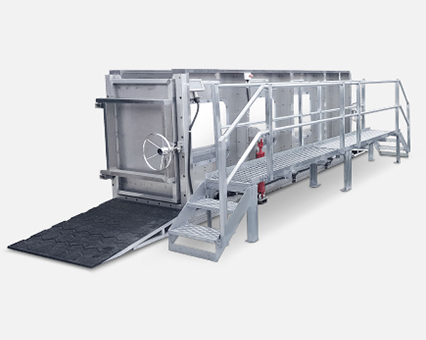 The conveyor deck is shock absorbing providing additional comfort and safety for the user – this is also the case when the HydroTread is in the Incline position of up to 7 degrees. Water running and aquatic aerobics opens up a new opportunity for people of all ages, and varying levels of fitness, the forgiving water environment is effective and enjoyable. The upward thrust exerted by water on a body acts in the opposite direction of the force of gravity. Water’s buoyancy virtually eliminates the effects of gravity – supporting 90% of the body’s weight for reduced impact and greater flexibility. A 180 lbs (82kg) person weighs only 18 lbs (8 kg) in the water. Water acts as a cushion for the body’s weight-bearing joints, reducing stress on muscles, tendons and ligaments. As a result, aquatic workouts are low impact and can greatly reduce the injury and strain common to most land-based exercises. Due to viscosity, drag forces and frontal resistance, water provides a resistance which is proportional to the effort exerted against it. Resistance in water ranges between 4 and 42 times greater than in air – depending on the speed of movement. This makes water a natural and instantly-adjustable weight-training machine. Unlike most land-based exercise, water provides resistance to the movement in all directions, which allows all of these directions be used in the strengthening process. Water’s resistance can be increased with speed and/or surface area, and the resistance is proportional to the effort required to move against it. With the addition of water fitness equipment, such as buoyancy belt, webbed gloves, floats and foot-ware, resistance is increased to strengthen and tone muscles. The unique properties of water enable your heart to work more The unique properties of water enable your heart to work more efficiently. The hydrostatic pressure of water pushes equally on all body surfaces and helps the heart circulate blood by aiding venous return (blood flow back to the heart). This assistance to the heart accounts for lower blood-pressure and heart rates, during deep-water exercise – versus similar exertions on land. Consequently, your heart rate is an estimated 10-15 beats lower per minute during suspended water exercise than for the same effort applied on land. Being able to promptly return to exercise following injury or an operation is invaluable and beneficial to a speedier recovery. Water enables the return to exercise quicker than on land. 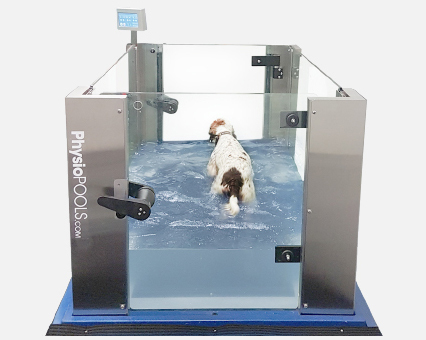 A combination of buoyancy and treadmill motion allows individuals to walk or run at a balanced and comfortable level – taking strain & stress off load bearing joints whilst benefiting from the aerobic activity. Hydrostatic pressure, resistance and water temperature all contribute to building up muscle and strength in a safe environment. The treadmill speed range is up to 15kph (9.3mph).